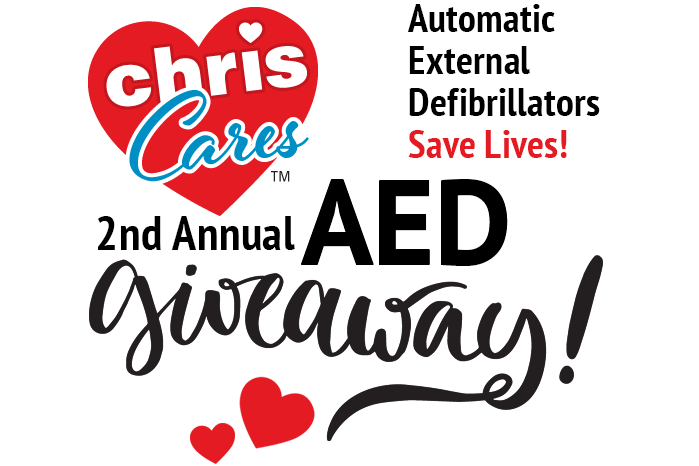 Chris Cares 2nd Annual AED Giveaway! At Chris Brothers, we’re all heart! Chris Brothers is proud to announce Nova Scotia’s Cornwall & District Volunteer Fire Department as the deserving recipient of its second annual Chris Cares AED Giveaway. The contest was held during Heart Month. Representatives of the department will be given the life-saving device by Chris Brothers/Bonté Foods representatives during an afternoon presentation on Tuesday April 23 at 3pm at the Cornwall & District Firehouse, 2588 Cornwall Rd., Mahone Bay, NS. The AED device and training associated with the device are valued at approximately $3,500. While the Cornwall & District Fire Department Auxiliary tirelessly works to provide its firefighters with the tools and equipment they need, budget provisions can sometimes prove constraining. It is Bonté’s hope the AED will better equip the Cornwall district with a potentially life-saving device for the community. An AED is a portable electronic device that delivers an electric shock through the chest to the heart of a person suffering from a cardiac arrest. The shock can potentially allow a normal rhythm to resume following sudden cardiac arrest. AEDs save lives! How important are AEDs? Just ask Chris Bothers/Bonté Foods employees Bill Wiseman and Paul Sivret, they’ll tell you. 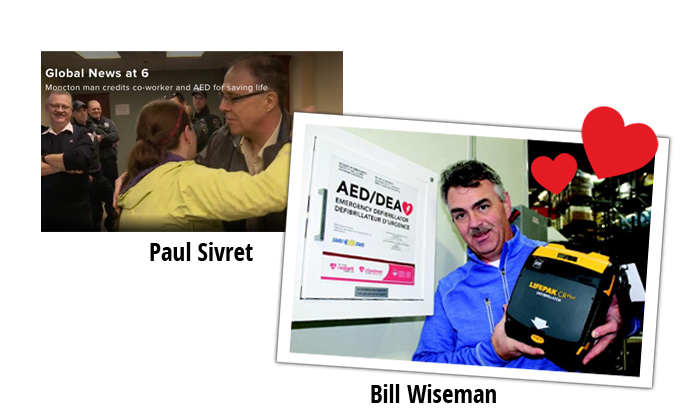 Both men experienced cardiac arrest in the past few years and their lives were saved by an AED device. Bill while at a hockey rink and Paul while at work at Bonté Foods. These events touched our hearts. We believe AEDs need to be accessible. So much so, we created the Chris Cares AED Giveaway. This annual initiative, held during Heart Month, will award an AED device to a needy organization that may not have the financial means to purchase one. Learn more about last year’s winner! In 2016, Bill Wiseman suffered a heart attack while playing hockey. His life was saved thanks to quick-thinking hockey friends who used an AED located at the arena. It was Bill’s experience that inspired Chris Brothers/Bonté Foods to install an AED. Just 18 months later Paul Sivret suffered a heart attack while at work and it was this same device his co-workers used to save his life. 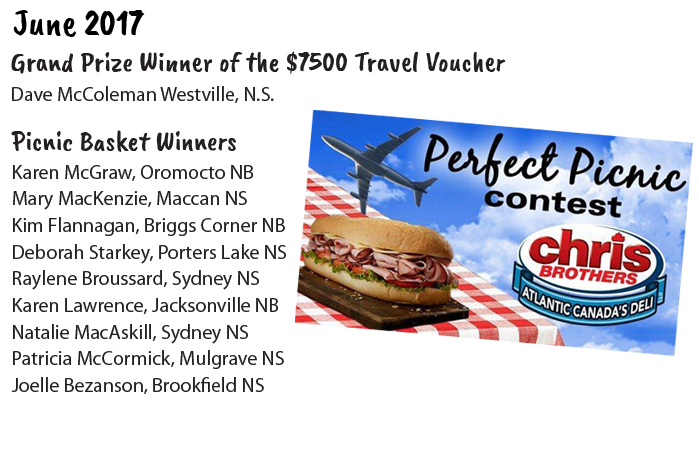 Congratulations to Bernice of Beaver Bank, NS, winner of the CTV and Chris Brothers Urban Country Contest! 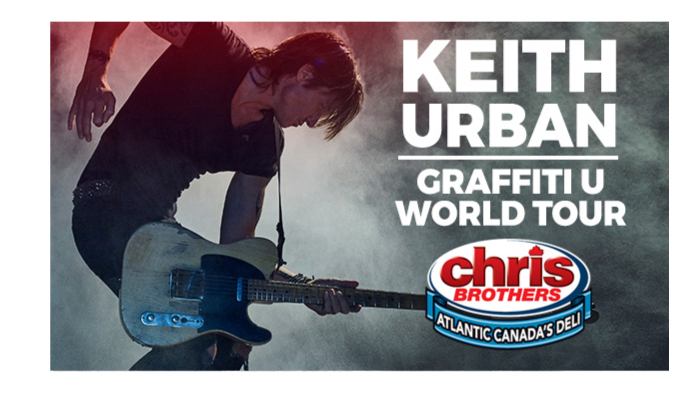 The country superstar kicked off the Canadian leg of his Keith Urban: Graffiti U World Tour in Moncton on Sept 12, 2018. We awarded Bernice a pair of tickets to the sold-out show, plus one-night’s accommodation at Wingate Hotel Dieppe, and $100 gas card!